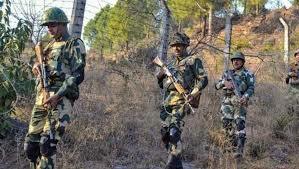 Home The NewsMill Indian Army warns Pakistan not to target civilian areas along LoC. Indian Army warns Pakistan not to target civilian areas along LoC. 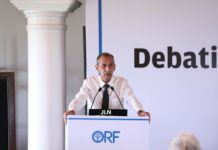 The Indian Army is maintaining strict vigil along the Line of Control and International Border and any further provocation or misadventure by Pakistan will be responded to in a befitting manner with dire consequences. In a statement, the Defence Ministry today said, post-Army’s warning to the Pakistan side not to target civilian areas, overall situation along the Line of Control remains relatively calm. In the last 24 hours, the Pakistan Army resorted to intense and unprovoked firing with heavy caliber weapons in selected areas of Krishna Ghati and Sunderbani. They targeted Indian posts and civilian areas to which the Indian Army retaliated effectively. There have been no casualties on the Indian side. The Army reiterated that it is committed to avoiding civil casualties, especially along the Line of Control. The statement said, all actions taken by the defence forces are targeted at counter terrorism and terrorist infrastructure, away from civilian areas, to avoid civilian casualties. Next articleIAF airlifts 514 stranded passengers in J&K.